2013-2014. Product Strategy; UX/UI Design. Using Computer Vision Greg Goralski could take a hand drawn sketch of a shape, capture it with a smartphone’s camera and add interactivity to the captured shapes. Leveraging this, could Transmitter plan and design a mobile app to speed up the prototype workflow for other application developers? Yes we could. Create an innovative product for a target audience that thrives off creative energy. Make the app a logical step in an already varied process with both teams and individual creators. 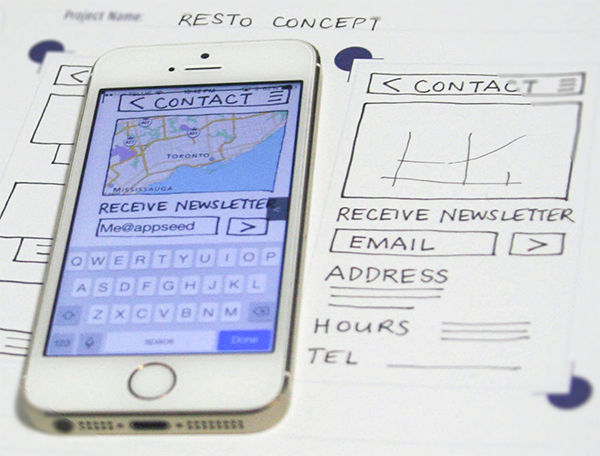 Allow users to easily create, edit, manage, and share interactive prototypes from hand-drawn sketches. The capture process allows for real world conditions (lighting, collaborative environments), multiple captures (accidental or intentional), multiple standard and non-standard user interface elements (from text inputs to interactive maps). I identified the primary app functions and defined the ideal user processes from them. Launching in capture mode with a pull-tab navigation drawer allowed for a quick capture of a sketch or access to existing files. Selecting an element gave a menu for editing and functional selection of any conventional user interface element. 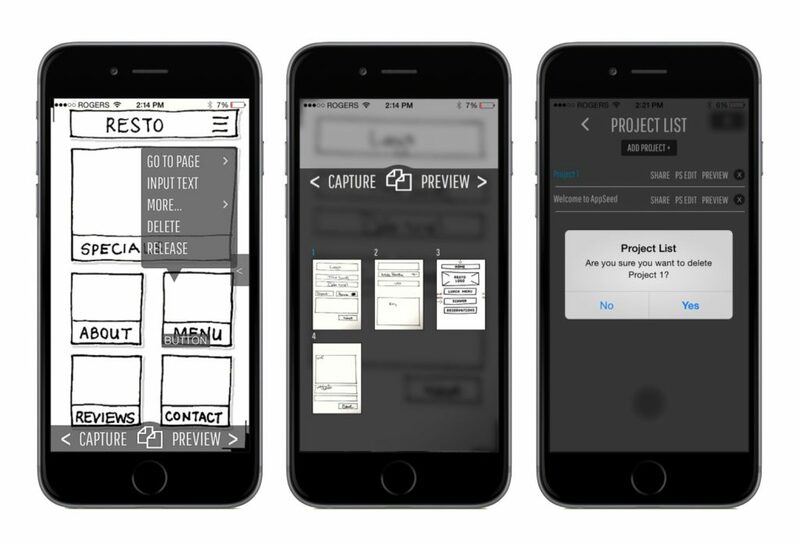 User testing revealed that the app not only sped up the creative process it was also useful in identifying interface design and process problems faster than paper prototyping. Being community minded, Greg wanted to get a production budget from a Kickstarter campaign. While the campaign was in full swing the project was featured in Wired, Forbes, Tech Crunch and more. This helped the campaign raise the target amount of money needed to get the product to market. As part owner and co-founder, Transmitter contributed to the Kickstarter campaign, defined the product strategy, design, and feature planning that was handed off to another team of developers in April 2014.